Not everyone can be just as cool as Gene Belcher, the outgoing burger boy at Bob's Burgers! He has everything an 11 year old guy could want, like a hamburger suit, a cheap MIDI keyboard that can play fart noises AND dog barking sounds and he even has his own Beefsquatch mask. The only thing that could possibly improve his life is if he could finally be reunited with fancy talking toilet (alas, his $14,000 toilet now resides on King's Head Island). Do you want to be as cool as the middle child of the Belcher family? Well, now that's completely possible with this licensed costume from the show, Bob's Burgers. 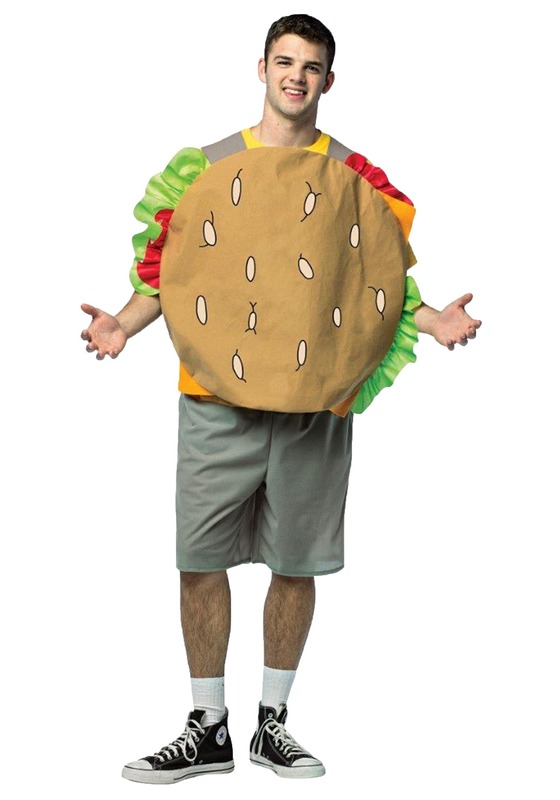 With this Gene Belcher Costume, you can finally become your favorite hamburger clad kid. It's a burger-shaped tunic, so it immediately invokes the style of the cartoon character. You may even feel like working a shift at the restaurant or heading off to Wagstaff to make fun of Mr. Frond (even though you'd probably rather be enrolled in Fart School instead). Of course, you'll need to get your own MIDI keyboard, complete with an array of weird sound effects, if you want to put on a show like the real Gene Belcher.